← Bacolod, get ready for some vegetable action, Revolution-style! Now that we’ve all gotten nice and round after too much holiday merry-making, how about starting the year right with more mindful, healthful eating via veg cooking classes? It won’t be painful, I promise! 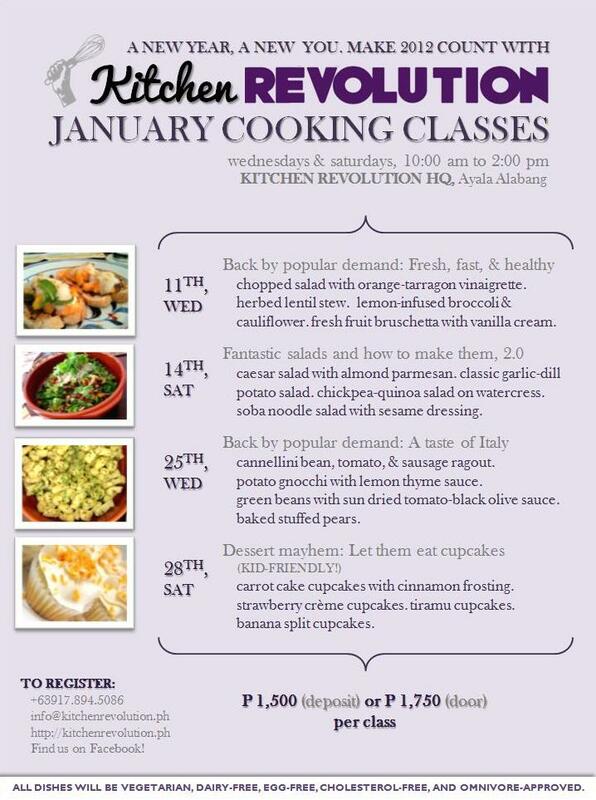 Learn how to make quick and easy dishes on the 11th (Wed). Add more creative salads to your food repertoire on the 14th (Sat). Get Italian-ated with DIY gnocchi on the 25th (Wed). And after a month of being good, treat yourself to decadent cupcakes on the 28th (Sat).